Each year more than 38 million children participate in youth sports, an excellent way for children to learn valuable skills such as leadership, sportsmanship, and competition. But the rate of their sports related injuries is troubling: 1.3 million youth athletes under age 19 are seen annually in an emergency room for sports related injuries including 9,000 for heat related illness. Every 3 minutes a youth athlete is seen in an emergency department for a sports related concussion. The Malcolm Jenkins Foundation plays a leading role to help build awareness around youth sports safety through programs it offers that impact youth, families and communities. As a long-time athlete founder, Malcolm Jenkins, knows first-hand the value of sports in youth development and the importance of playing them safely. 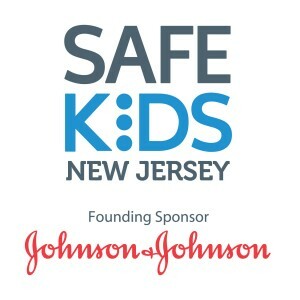 In 2013 the Foundation announced its partnership with Safe Kids New Jersey, a program founded and sponsored by Johnson & Johnson, expanding its youth football camp features to include information sessions to build awareness around important health topics concerning youth. Topics include: Nutrition & Hydration; Injury Prevention & Care; Concussion Recognition & Recovery; Sudden Cardiac Arrest in Athletes; Importance of Sleep in Athletes; and Anti-Bullying. The partnership has greatly assisted the Foundation’s efforts to provide year-round programming and information to educate youth and their parents and guardians about the techniques and components of safe play and the importance of good health and wellness. In 2014, the camp offerings also included the provision of a voucher for FREE base-line concussion testing for all campers age 11-17 through the sponsorship of Robert Wood Johnson University Hospital Somerset / RWJ Barnabas Health . Test your knowledge about sports safety. Learn how to keep your athlete active and safe.